With one of these delightful playsets, your child can either take a trip around Treetopolis in Zigzoo’s Amphibious Wagon or go on an adventure with Teabiscuit and Ariela. Each playset comes with an assortment of accessories. Based on the hit TV show, where the brave hero Tree Fu Tom is accompanied by his best friend Twigs and a cast of playmates on amazing magical adventures…. This toy costs approximately £9.99 (for the latest and best prices make sure you check our retailer list for the Tree Fu Tom Playset Assortment above). 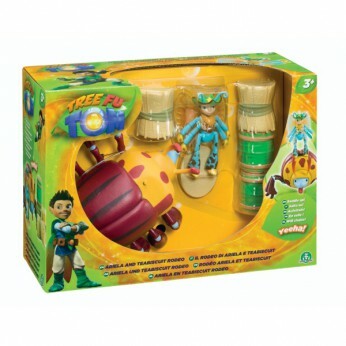 In our review of Tree Fu Tom Playset Assortment we classed it as being suitable for ages 3 years, 4 years, 5 years but recommend you check the manufacturer specific advice before purchasing.